If the California camper van suggests the mythological optimism and idealism of the third largest state in the Union, VW’s new Grand California concept must hint at its size in square miles; the Grand picks up where VW’s 2017 California XXL concept left off, going bigger, and more luxurious. 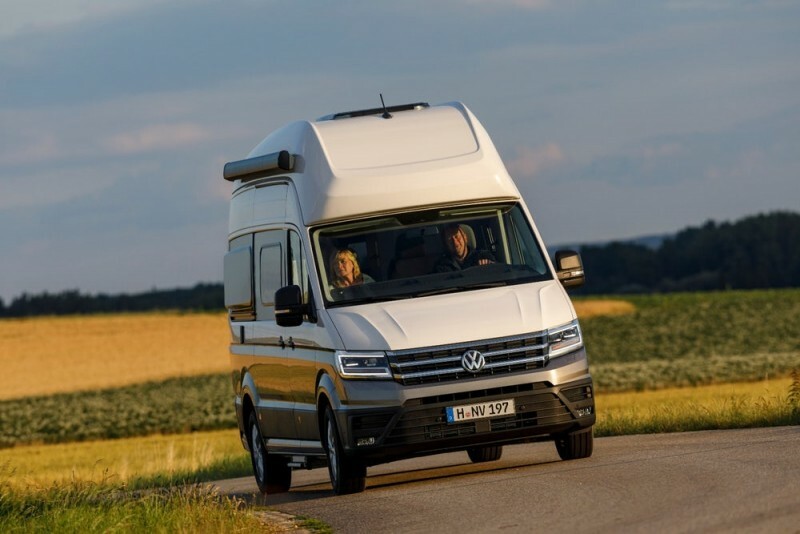 The new camper van from the German automotive giant positively dwarfs its elder sibling, and looks far flashier in the bargain. If the California is a Vanagon reboot, the Grand is meant to approach the luxe allure of the Mercedes Marco Polo. In characteristic fashion, the Grand California is awfully inventive with its available space. Amenities are squirreled away in charmingly thoughtful ways, making interaction with them an interesting venture; notice the combination cooking area and the hide-away fridge. What’s unusual in the Grand is the way its interiors manage to suggest liberation. Even with the cap down, the ceiling lines never stifle and, in the sleeping loft—which is accessible via an artfully-designed aluminum ladder—there is a skylight to keep the cramped feeling to a minimum, and allow for a starlight view when roaming the countryside and low light-pollution areas. Some luxury-oriented design cues carry over from the XXL; the yacht-style plank flooring is a good example. AWD will be optional for the Grand California. A driver assistance suite will be available as well. No word on pricing. But the Grand California will probably be a European-only item.